Grab 100 FREE SPINS: Experience House of Fun! It’s the hottest collection of free slot games of 2018! Brought to you by the creators of Slotomania slots casino, House of Fun is full of 777 slots just waiting for you to get playing and get rewarded! House of Fun is bringing the style and glamor of the world’s top style and fashion to you! Take a walk down HOF Boulevard and collect bags of luxury fashion and lifestyle items as you spin your favorite casino slots games. 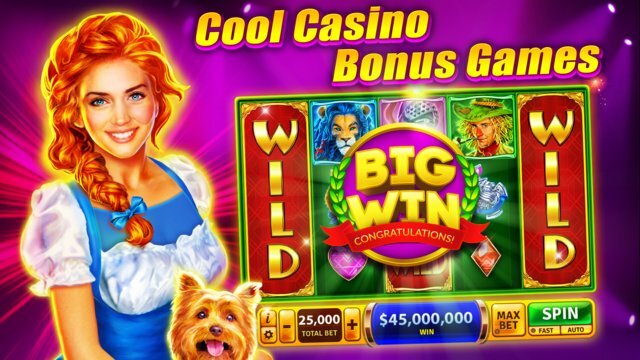 Claim HUGE casino prizes and free coins every time you complete one of 20 collections of items. You can also trade duplicate items for free coins so you can keep those slot machines spinning! With 20+ million players worldwide and counting - step right up and experience the House of Fun casino slots - even MORE slot machines added with every update and hundreds of jackpots await you! From the heart of Vegas to you: experience the thrill of slot machines directly from the Strip’s most renowned slots casinos: Caesars, Rio, Flamingo, Harrah’s, Bally, Horseshoe, Planet Hollywood, The Mirage, MGM Grand, Bellagio...and more awaiting you in House of Fun! House of Fun just got even more AWESOME fun slots: check out the monsterous new Monsterpedia - an epically rewarding collection of 4 linked slots games with an exciting bonus card collection! Or something more festive and classic - Santa will give you extra this year with the holiday-themed Ho Ho Ho! slot game! For spooky-tastic special prizes, take a walk on the wild and scary side with Frankenstein Rising casino slots! This is classic free online slots gaming, straight to your phone! Spin the WHEEL OF FUN every day and get your DAILY FREE COIN BONUS ….and don't forget to check your HoF mailbox for even more fun surprises and other slots gifts! Make sure you grab your Playtika Rewards, formerly known as Total Rewards, available across all epic Playtika games! Even MORE Fun Awaits You on Facebook: be a Funster! Visit https://www.playtikarewards.com to learn more about our very own Playtika Rewards (formerly known as Total Rewards and Slotomania Rewards). Enjoy playing our free casino games? Please rate us, your feedback counts! 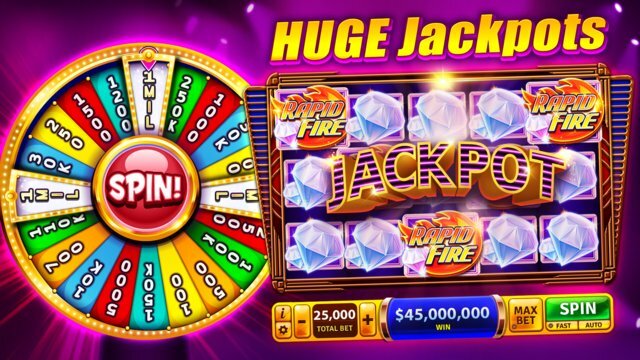 This game is intended for an adult audience (21+) for amusement purposes only and does not offer ‘real money’ gambling, or an opportunity to gamble or win real money, cash or prizes based on game play. Playing or success in this game does not imply future success at ‘real money’ gambling or any gamble-related venture, online or offline.